Vineeta Mooganur is the Chief Growth Officer at Hanover Research. Her responsibility is to spearhead growth across key dimensions for their clients and for their employees. Prior to Hanover, she served as the VP of sales and partnerships at a healthcare startup. She was a managing director at CEB now Gartner and a case team leader at the management consulting firm Bain & Company. This diverse experience of sales, client services, strategy and management has allowed her to give a unique perspective to her team as well as find unique ways to serve the market. Fred Diamond: Tell us exactly what you sell today and tell us what excites you about that. Vineeta Mooganur: Hanover Research provides tailored insights, insights that are crafted individually for each client, and these insights drive better decisions, improved processes, and intangible growth for our clients. Basically we’re hundreds of thinkers supporting thousands of decisions made by organizations every year, and it excites me for a couple of reasons. One, we’re disrupting the marketplace. We created an intellectual sharing economy and that’s necessary right now. Our client organizations are lean but their need for analytic decision making is equal to that of their larger competitors. They don’t have resources, they don’t have the time or the money to hire collective capabilities that our talent can deliver so they turn to Hanover to provide the intellectual rigor and level of the information playing field. The second is the insight we provide comes from some really amazing people that I have the privilege to learn and work with every day. Some have multiple PhD’s, some have started their own companies before they came to Hanover or they’ve been top performing sales people at larger organizations and their experience and drive – but most importantly their ability to collaborate with the team and put the client first – makes me want to get up every morning and see what I can learn and what we can accomplish together. Fred Diamond: How did you first get into sales as a career? Your title is chief growth officer. Do you consider yourself to be a sales professional? Vineeta Mooganur: I think the foundation is based on sales but my role has expanded to do a lot more than that. There’s a strategic component to it, there’s a team management component to it, but at the end of the day the buck stops with generating sales. I think like most salespeople I accidentally ended up in sales. I don’t know too many people who set out saying they’re going to be career sales people and that’s too bad because it is the best accident I personally had. I got into sales when I realized that management consulting was not the path that I wanted to follow for the remainder of my career. 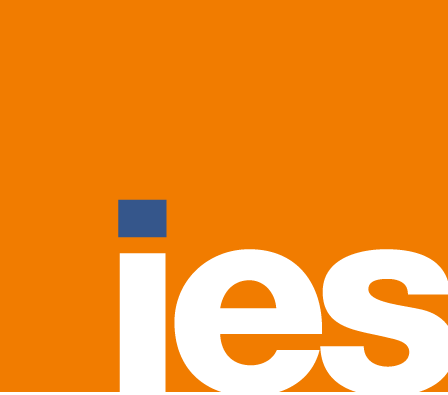 I wasn’t sure what I wanted to do next and CEB now Gartner came knocking at my door looking for someone to help them sell their operation solutions with an engineering and consulting background. I understood the constituency but I had no idea how to sell. Fred Diamond: Interesting. So take us back to when you made that transition. What were some of the key things that you learned that have stuck with you today? Vineeta Mooganur: That not everything’s going to go my way and I have to have the strength to bounce back. There are a lot of uncontrollable in sales, contact turnover, budgets, acquisitions, change in strategic objectives of an organization, and for someone like me with an engineering and management consulting background where you control for outcomes it was really important for me to get used to that. But I also learned that there is a physics to a business – that’s kind of music to an engineer’s ears, right? That the volume of meetings you do times a conversion rate gets you to your goal, so you control the variables you can control to have the best outcome. The other key lesson is sales is not just about being able to ask for the business, it requires you to be good at a lot of things. It requires you to be good at strategy, for example, territory prioritization, or collecting voice of the market to customize your pitch, it requires process skills to be able to multitask the many things you have to do like manage your pipeline or current meetings. It requires cross-functional work with both product and account management and then it requires engaging your prospects as a thought partner and then having earned the right to ask for the business. Fred Diamond: So having moved from management consulting and engineering and just listing all the things that you do as a sales leader, what are some of the things that you like best? Now that you’re deep into your career, what do you like best about it? Vineeta Mooganur: It’s really the team management. It’s watching each individual on my team, coaching them, leading them to meet the objectives that they have for the year. Fred Diamond: We talked about your management consulting career, talked about how you also began as an engineer as well. Tell us what you specifically are an expert in. Tell us more about your specific area of brilliance. Vineeta Mooganur: I’m definitely not an expert in anything so area of brilliance isn’t even on the spectrum but I think that in and of itself has helped me in my career. Carol Dweck, a Stanford psychologist, looked at kids in school and grouped them as know-it-all’s and learn-it-all’s and those who are learn-it-all’s performed better in school even if the know-it-all’s start out with more innate capabilities. I love learning and I love connecting and learning from people specifically. I talk to strangers everywhere I go because I’m fascinated by their experience and learn something from each of them. I love listening to the challenges of our clients and teams and working to figure out a solution, so I think the capability that has served me well is my passion for continuing to listen and learn. Fred Diamond: You refer to Carol Dweck who of course wrote Mindset, which is a book that comes up all the time. Talk about your mindset when you manage sales. How do you describe yourself? Again, with your background in engineering and management consulting, are you type A when it comes to sales? Are you more a thoughtful and pragmatic – I’m just curious on how your mindset is as a sales leader with your background. Vineeta Mooganur: It’s interesting, we talked a little bit about the physics of the business, you control what you can control in terms of process. If you also look at Jim Collins, he is also said that sales is to some degree luck but those who prepare are able to identify those lucky opportunities so it is a level of preparation that helps you take advantage of some of that luck. So I try to control the processes that I can control but the market is constantly changing and each person on my team is different, and where I have to have that flexible mindset is being able to understand the change of the market needs as well as the individual needs and where the people on my team are. Fred Diamond: As you talk about your evolution and your ascent from management consulting into sales leadership I’m sure that there were mentors along the way who have assisted you. Vineeta, can you tell us about a sales mentor and how much they impacted your career? Vineeta Mooganur: It would be really hard for me, Fred, to pick just one. So if you’ll indulge me, I’ll name a few. At Bain it would have to be Michael Collins and July Coffman who taught me about creating extreme value and trusted relationships with clients. A few at CEB would include Paul Ironside who taught me to love the awkward pauses after asking the hard questions. Mike Archer who was always advocating to put me in bigger and harder roles, Nandini Basu who was my strategic partner, cheerleader and role model of who I still want to be and Martha Piper who taught me how important working collaboratively with product is for sales leaders. And now at Hanover, Peter Dodge is guiding me on his vision for clients and employees and trusting me to help lead our growth. Fred Diamond: That’s an A-list of mentors so you’ve been very lucky in your career to have worked at some great companies and had some world class mentors there as well. Fred Diamond: You manage a large team, do a lot of the younger people come to you as a mentor? Do you feel yourself in that role? Vineeta Mooganur: Quite often, so that’s a little bit of a balance with existing employees as running the day to day operations and them using you as a mentor but I pride myself in the fact that there are a lot of people that I’ve managed at CEB and elsewhere who still today call me for career advice or professional advice. Fred Diamond: Speaking about that, let’s talk about some of the challenges that you face as a sales leader. Vineeta, what are two of the biggest challenges you’re facing today as a sales leader? Vineeta Mooganur: Time and talent. There’s always more you can do to help your team get to goal, more meetings you can support, more collateral you can create, more development and career conversations you can have. As the team gets bigger and bigger I have to find time and ways to connect with the team and that’s a challenge. Second is talent, as I mentioned I work with a really talented group of people and as we grow we need to continue to hire and find great talent, and that too is a challenge. Fred Diamond: What do you like best to do? 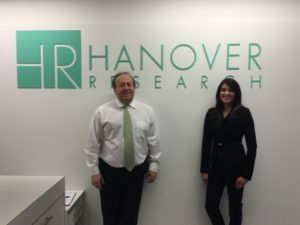 You do a whole bunch of things, you have a lot of responsibilities here as a chief growth officer at Hanover Research. Tell me the thing that you really enjoy the most. Vineeta Mooganur: The thing I enjoy the most is helping people understand what starts off seeming impossible starts being realized as you keep the pace with what you need to accomplish throughout the year, and we’re at the time of year now where people are starting to realize that at the beginning of the year I didn’t think this was possible but with the guidance that I’ve gotten, with the obstacles that have been removed by the leadership team I’m actually going to get to where I need to be. Fred Diamond: What are the biggest challenges with specifically selling research, do you think? Vineeta Mooganur: I think a lot of it is educating the marketplace. Helping them understand the value that they can get from using a service like this that would differentiate them. Fred Diamond: OK. Let’s go back to your biggest win. Take us back to one specific sale success or win from your career that you’re most proud of. Vineeta, take us back to that moment. Vineeta Mooganur: It was when a person on my team was one deal away from getting to goal at noon on the last day of the year. He and I sat in my office and called every contact he had met with so we could get some people on the phone who would consider making a deal with him to get him to where he needed to be. He had done such a good job at engaging his prospects while earning their respect that we were able to find somebody to make a deal with him before the end of the year. And it’s those moments of helping someone achieve something that they didn’t think was possible that I’m most proud of. Fred Diamond: So you literally sat in your office, went through his database and just had him get on the phone? Vineeta Mooganur: Absolutely, dialing for dollars and he had put in the work all year and established the credibility enough and articulated the value proposition that that made my portion of the job easier, but what I needed him to know was that I was there with him and we weren’t going to stop until we figured out that we had done everything we could. Fred Diamond: Curiously, how has he done since then? Vineeta Mooganur: Great, he actually followed me to another employer after that, I’ve seen him get married and have two kids, so the example that you were talking about to people come to me as kind of a mentor, he would be a great example of somebody who still continues to talk to me. Fred Diamond: Vineeta, you’ve had a great career in sales. Did you ever question being in sales? You made that shift again from management consulting, you went to school for engineering and here you are, the chief growth officer for a very successful research company. Was there ever a moment where you thought to yourself, “It’s just too hard, it’s really just not for me.”? Vineeta Mooganur: No, not really. There have been moments where it’s been hard but I’ve been fortunate to work with some really great people and great organizations who are willing to get in the trenches with me when it got tough. So when those moments did creep up on me it was more like a fleeting thought. Fred Diamond: Vineeta, what is the most important thing you want to get across to junior sales professionals to help them improve their careers? Vineeta Mooganur: Make sure you choose the right organization to work for. You want to work for an organization that invests in developing your sales skills and that isn’t just your first week or two on the job, it’s ongoing throughout your tenure. It extends to ongoing development and working in a culture where you have a manager that’s personally dedicated to coaching you day to day and senior leadership that’s looking to move you into greater responsibilities. Second is sales skills are transferable to anything else you want to do in your career, whether it’s starting your own business and having to bring on new clients or raise money for that business or progressing up to the C-suite at an established company so learn all you can. Fred Diamond: So how do you learn? What are some of the things that you’re doing today to continue to sharpen your saw and stay fresh? Vineeta Mooganur: Couple of things. I support my team in a lot of meetings, it helps me stay in touch with the market and understand trends and I talk to a lot of other business leaders to understand what they’re doing. We’re all going through the same challenges and it helps to hear other approaches. That’s why I’m so excited about the podcast series and thank you for doing this so we can all learn from each other. Fred Diamond: Every one of the key themes that’s coming across from the Sales Game Changers is the need to continuously learn and evolve and it makes sense, on the Sales Game Changers podcast we’re talking to people who’ve had 15, 20, 30 years of success and to get to the level of chief growth officer, senior VP of sales, chief revenue officer you don’t start your career there. It’s an evolution, you have to have been flexible, you had to have survived past economic challenges. One of our Sales Game Changers that we interviewed recently, Rob DiRocco over at Asurion, even if one of their biggest customers went out of business – it was Sports Authority – well that’s too bad and you need to figure out a way to make up for that revenue that was lost. Fred Diamond: What’s a major initiative that you’re working on today to ensure your continued success? Vineeta Mooganur: As the chief growth officer the business is going to grow substantially but I need the talent to grow with it so developing talent is my major initiative. We’ll be looking to move current employees into bigger and bigger roles in the organization at faster rates and it’s my job to invest in our teams. Sometimes put them in the role sooner than they might be ready and guide them to success. Fred Diamond: Very good. It’s interesting as they move into those career, you and I both know sales is hard. People don’t return your calls or your emails. People can hide these days. Why have you continued? What is it about sales as a career that keeps you going? Vineeta Mooganur: For me it’s the conversation with our prospects and clients, talking to senior business leaders and understanding their challenges is interesting to me and if I have a solution that can support them to address their challenge, great. But if not I’ve established a dialogue and learned something that could lead to a partnership down the road. Fred Diamond: Vineeta, you’ve given us some tremendous information today. I’m really glad that we had you on today’s Sales Game Changers podcast. Why don’t you give us one final thought to inspire the Sales Game Changers listening today? Vineeta Mooganur: As sales people, we’re in a unique position of speaking to hundreds of business leaders a year. We are closest to the market and what the market needs, that’s a powerful and fun place to be. Use it to learn and teach your prospects and your organization what you’re hearing and you will quickly establish yourselves as a thought leader, close more deals and rapidly move up in the organization.